When I think about the most meaningful gift I ever received, I think of the Apple III computer my father brought home when I was in high school. He knew my sister and I were interested in math and science, and he wanted to encourage us to explore computers as well. It worked. I spent hours learning how to code and imagining what I could do with a career in technology. It sent me down the path towards a degree in computer science and nearly a decade at Microsoft. It was a gift that opened so many opportunities for me. As I’ve raised my own three kids, I’ve tried to do for them what my dad did for me. When they were little, Saturday mornings meant family science experiments — making things explode or stinking up the kitchen. I loved seeing them discover new ideas and imagine new possibilities for themselves. I hope this holiday season will be full of moments like that for your family, too. 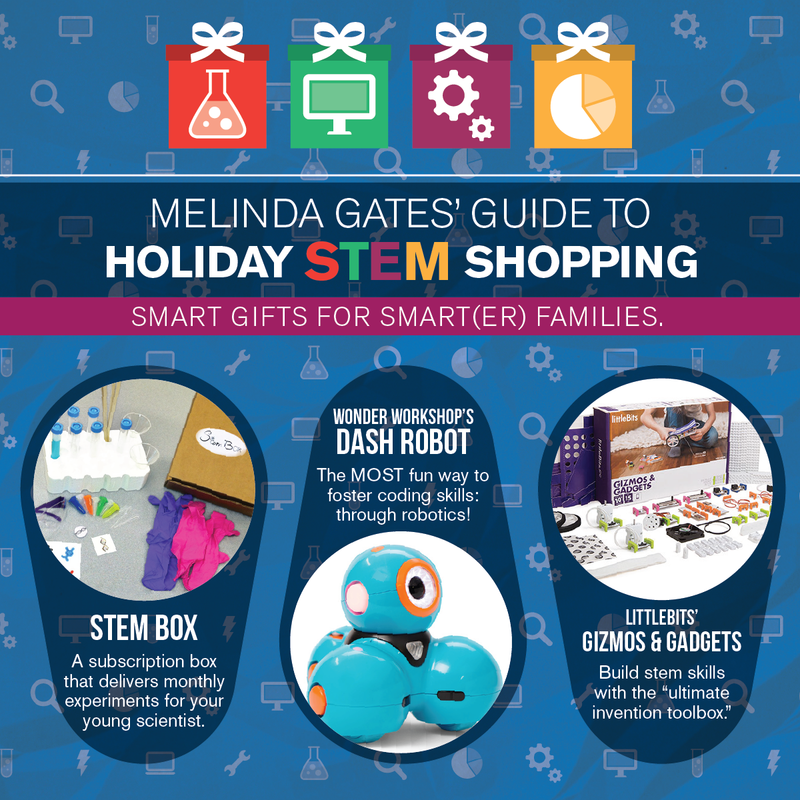 Here are some gift ideas to help ignite the curiosity of the young scientists in your life.